The Express Entry Labour Market Stream (EELMS) allows the New Brunswick Provincial Nominee Program to use the federal Express Entry immigration selection system to meet New Brunswick’s specific labour market and demographic needs. The New Brunswick Express Entry Labour Market Stream reopened on November 28, 2018. Have a valid Educational Credential Assessment (ECA), which certifies the minimum educational credential requirement equivalent to a Canadian High School diploma. 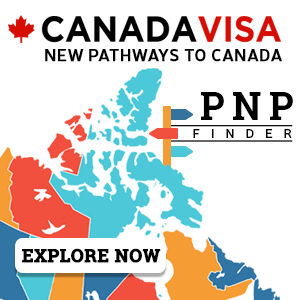 In order to be eligible, individuals must score a minimum of 67 points out of 100 in the selection factors for the Federal Skilled Worker Class and meet other criteria specified by the NBPNP. A predetermined number of EOIs are reviewed and the highest-ranked are invited to apply for a provincial nomination from the NBPNP. Applicants nominated by New Brunswick receive an additional 600 points toward their Express Entry Comprehensive Ranking System (CRS) score. If the applicant is being considered for provincial nomination under an occupation regulated in New Brunswick, he or she will require a valid job offer from a New Brunswick employer. Candidates may earn up to 28 points for skills in English and French. Points are given based on the candidate's abilities in reading, writing, listening, and speaking. Points may also be awarded for official second language capacity. If a candidate wants to earn points for his or her skills in both English and French, he or she must provide language test results for each language at the same time. Points are awarded based on the candidate's age on the day that he or she was invited to apply for permanent residence by IRCC. In some cases, a candidate will receive points if he or she has a valid offer of permanent employment from a New Brunswick employer. The job must be arranged before the candidate applies to come to New Brunswick as a federal skilled worker. in an occupation classified as Skill Type 0 or Skill Levels A or B of the 2011 NOC. 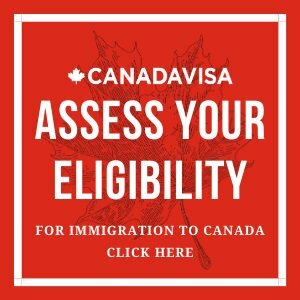 the work permit is valid both when the applicant applies and when the visa is issued (or the applicant is authorized to work in Canada without a work permit when the visa is issued). Immigration, Refugees and Citizenship Canada (IRCC), formerly CIC, issued a work permit based on a positive Labour Market Impact Assessment (LMIA) from Employment and Social Development Canada. the applicant is working for an employer named on his or her work permit who has made a permanent job offer to the applicant based being his or her being accepted as a skilled worker. the applicant's current employer has made a permanent job offer based on the applicant being accepted as a skilled worker. an employer has made a permanent job offer to the applicant based on being accepted as a skilled worker. the employer has a positive LMIA. An applicant must demonstrate his or her genuine intention to settle in the province. In addition, he or she must meet federal criteria listed in the following table to gain points. If the applicant has an accompanying spouse or common-law partner who will also immigrate to Canada, he or she can earn points for adaptability, too. An applicant cannot claim points for a spouse who is a permanent resident living in Canada or a Canadian citizen. Even if an applicant qualifies for points under several criteria, he or she may only receive a maximum of 10 points for adaptability.